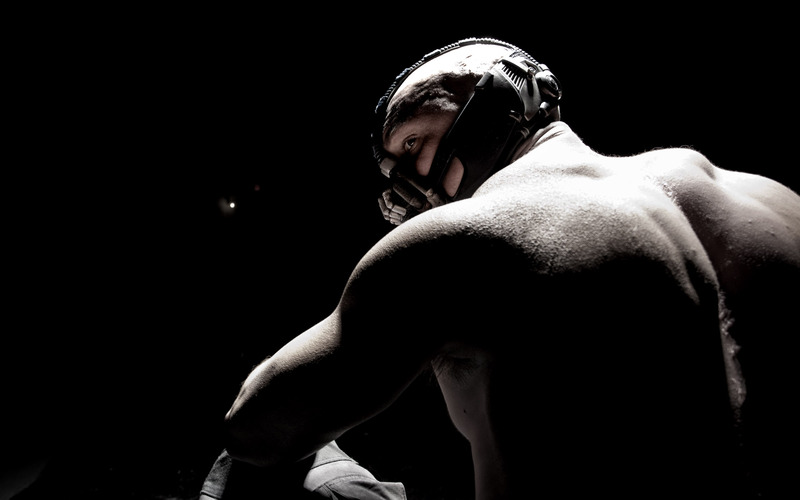 First Look at Tom Hardy as Bane in The Dark Knight Rises ! Scooper ‘Chad’ alerted us that the official site for The Dark Knight Rises has come online at TheDarkKnightRises.com (or TheDarkKnightRises.WarnerBros.com). For now it’s just a black page with the sound of people chanting. You can click on the black page to be taken directly to the sound file. Is it the start of another impressive viral campaign like the studio put together for The Dark Knight? Now filming on three continents for a July 20, 2012 release, the Christopher Nolan sequel stars Christian Bale, Michael Caine, Gary Oldman, Morgan Freeman, Tom Hardy, Anne Hathaway, Joseph Gordon-Levitt, Marion Cotillard, Juno Temple, Josh Pence, Daniel Sunjata and Nestor Carbonell. UPDATE: That didn’t take long. SuperHeroHype Forums member ‘Riskproduction’ figured out using an audio program that in spectrum the audio says “#thefirerises” which of course would mean something on Twitter. There's even a Twitter.com/TheFireRises account! UPDATE #2: It looks like following Twitter.com/TheFireRises will help uncover the image that is located at http://www.thedarkknightrises.com/image.html. UPDATE #3: The viral itself has been scooped! The image has already been uncovered by the fans and it’s Tom Hardy as Bane! Click the photo for a bigger version!